It is time to show your love and support! We will be holding donation ceremony on Thursday, April, 25th in front of Kellogg from9am-5pm and please stop by and show your support! 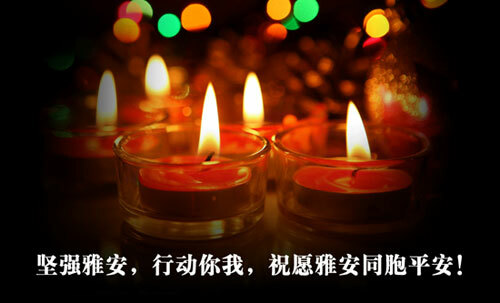 Pray for Ya’an, Donate for Ya’an. All donations will be recorded and goes to charity organizations in China!